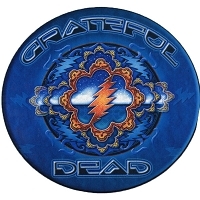 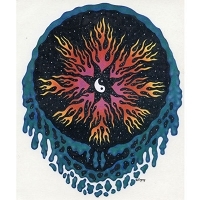 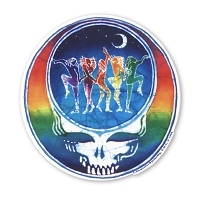 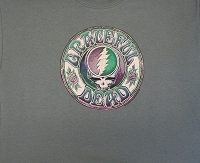 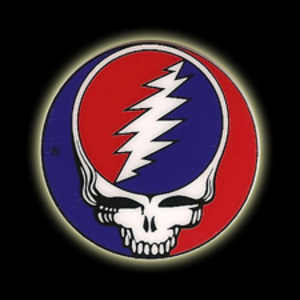 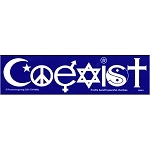 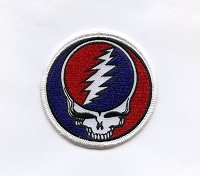 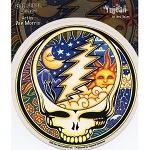 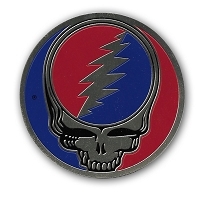 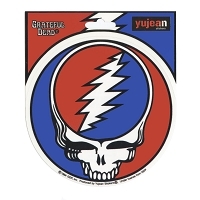 This metal decal features the classic logo of the Grateful Dead commonly known as "Steal Your Face." 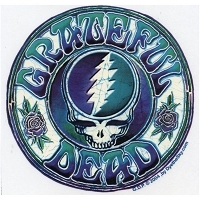 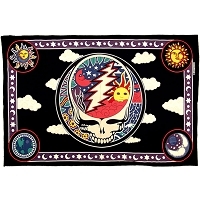 The image appears on the Grateful Dead's first album covers and is a creation of legendary Deadhead Owsley Stanly, otherwise known as "Bear." 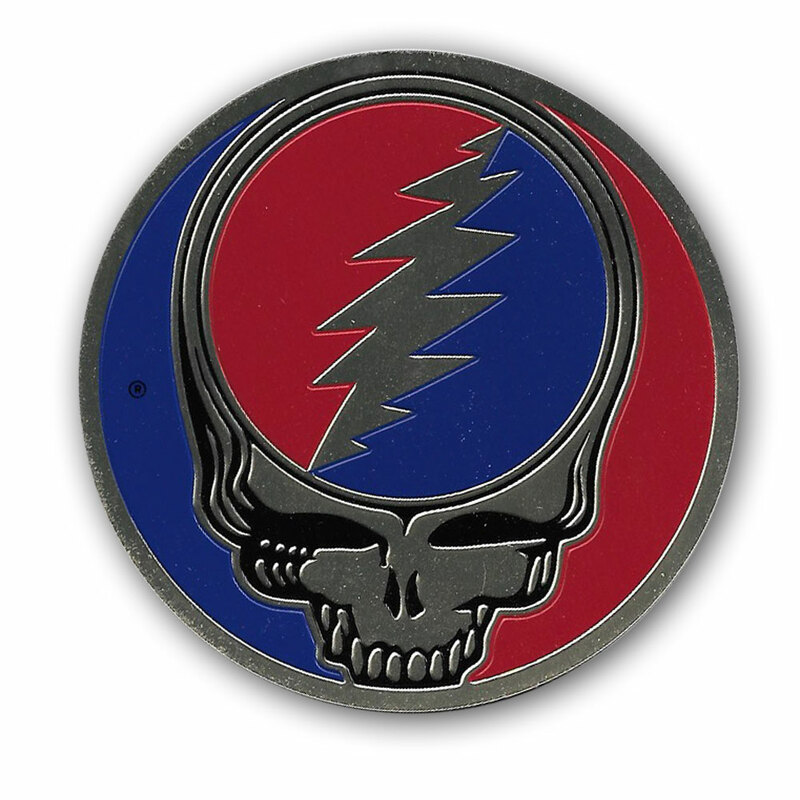 This version of this classic design features a brass-look metal with red and blue print. 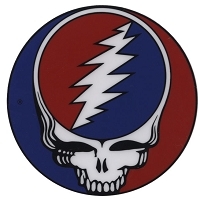 This sticker measures 3 and 1/8 inches.